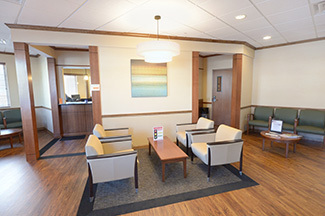 At your first visit you will meet your provider, recount your medical history as well as other pertinent information, and have a physical exam. Please bring a list of any medications you are taking, including over-the-counter and herbal preparations. Lists of other specialists seen are also welcome. A family member or caregiver is always welcome to come with you. Please arrive well ahead of time so that you can register and complete paperwork. For your convenience, all of our patient forms are available on this website for you to download and print prior to your visit. You may call our office at 518-435-1300. Please click for more information about appointment hours and our practice policies.